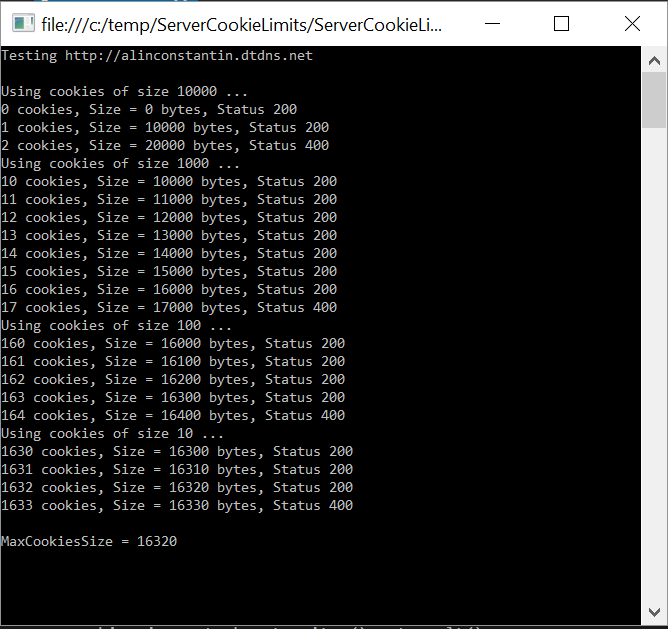 If you search the net for 'cookie limits', you'll find this site http://browsercookielimits.squawky.net/ (or variations of it) that list browser-side limits for cookies for a couple of browsers. RFC2965 will tell you a browser should support at least 20 cookies of size 4096 bytes per cookie, but browsers usually support higher limits. E.g. 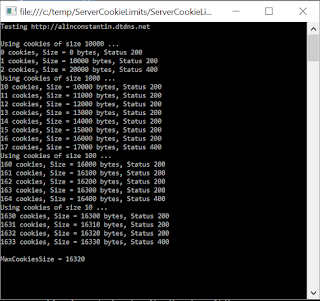 Chrome supports 180 cookies of size 4096 bytes, per domain, with no limits for the total size of all cookies. That makes 720Kb of data that is allowed by Chrome in each request. Per https://support.microsoft.com/en-us/kb/820129, IIS Server defines two configuration settings, MaxFieldLength and MaxRequestBytes that limits the size of the http request headers that are accepted. This includes things like the RequestUrl being accessed, the User-Agent string, AAD authentication tokens, etc, thus limiting the size of Cookies stored in headers, too. For IIS, that limit is 16Kb by default, and can be configured. Probably Apache has similar limits, and website owners may have adjusted the limits. 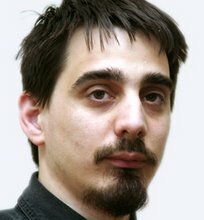 http://alinconstantin.com/Download/ServerCookieLimits.zip and invoke it with the http:// Uri of the server to test for parameter. The app makes requests to the server with cookies of various decreasing sizes, trying to narrow down the accepted max cookies size. The output looks like in the picture below.